UPDATE: Microsoft have since released Forefront Unified Access Gateway 2010 Service Pack 4, this should resolve issues with IE 11 clients. At the time of writing Internet Explorer 11 clients are not currently supported by Unified Access Gateway 2010 and Microsoft are yet to release an update for UAG server to do so. 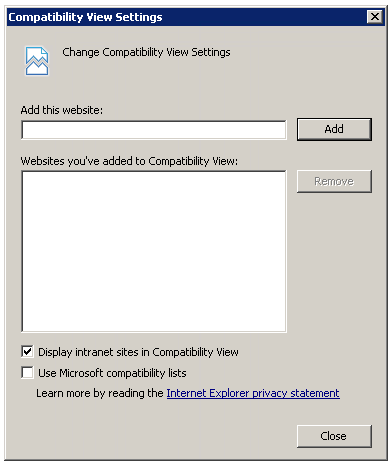 In the mean time, there is a workaround to access a UAG portal from Internet Explorer 11 by using compatibility view. Your computer does not meet the security policy requirements for this site. For more information, contact your administrator. Restart IE. You may need to clear your browser cache. Was this of use? Please let me know. « Internet Explorer Script Error, on a cash machine…!